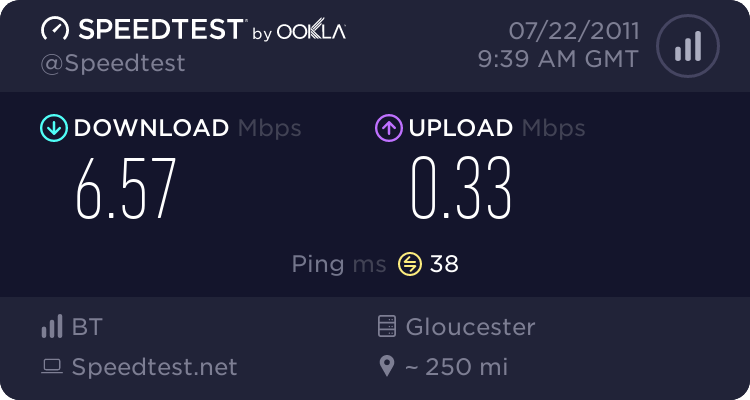 What is the maximum upload speed i can get on my line? could i get adslmax premium? Yes, and even more if there is LLU or 21cn presence in your exchange. You should get 832 Kbps upstream. BT retail, no, but have you tried speaking to BT Business Broadband, or in fact one of the other business aimed ISP's ? BT Business have done it - I have seen several with the faster uploads but cannot find it on the website and sales say "don't know". Trying to get it for a remote village location in Scotland - they get a full 8 Mb download with around 15dB SNR (on a bad day).